CHAVIES, Ky.--Jeanette Miller Hughes padded barefoot around her modest home on a recent weekday afternoon, wearing a stained, baggy shirt and leggings. The television blared “The Muppets” as Hughes babysat her grandchild. During this and two other weekday stops by reporters at Hughes’ home, there was nothing to suggest that this well-compensated public official was on the clock and ready to tackle her duties as Perry County’s jailer. Indeed, each time her county-owned Mercury SUV sat in the driveway. 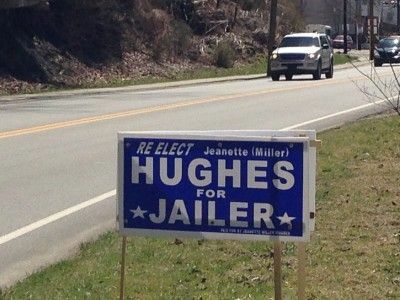 Since being elected four years ago, Hughes has done very little as the county’s $69,000-a-year jailer. She doesn’t even have an office, no place where she goes to work all day, every weekday. Nor does she have any regular responsibilities, despite her hefty paycheck. And hardly anyone seems to have noticed, or cared. Hughes is the personification of a wasteful, nepotism-laced but little-discussed system that costs Kentucky taxpayers approximately $2 million annually. She is one of 41 elected county jailers across the state who don’t have jails to run. And she is the highest paid of them all. Only in Kentucky does this curious practice exist. As a result of it, one of the nation’s poorest states is slightly poorer still, because of its outdated, wasteful system of no-jail jailers, an inquiry by the Kentucky Center for Investigative Reporting has found. 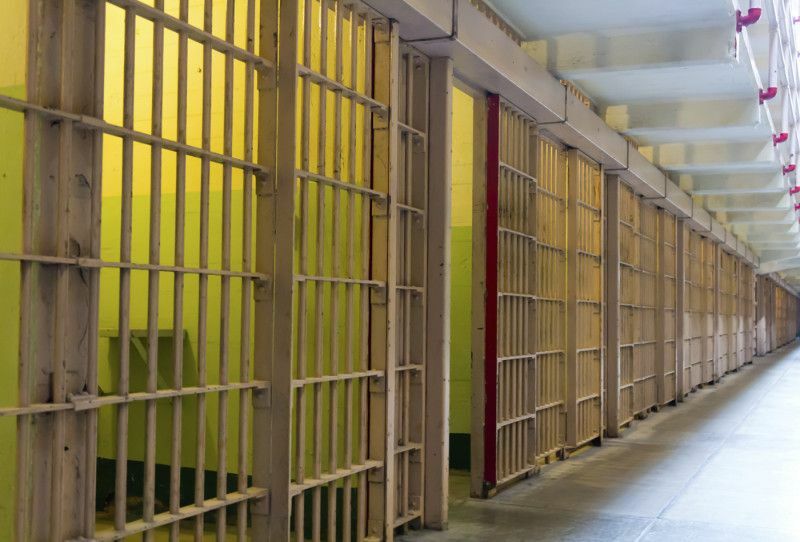 Operating a jail has long been a financial nightmare for many Kentucky counties, especially those with relatively few residents and a small tax base to cover the costs of incarceration in general and inmates’ medical expenses in particular. Since the late 1970s, 41 counties either have chosen to close their jails because of rising costs, or else have been forced to shut them down because they failed to meet minimum state jail standards. Counties without a local jail either put arrestees in a regional jail or else transport them to a neighboring county jail that has agreed to house them. All 41 no-jail counties still have an elected jailer, which in Kentucky alone is a constitutional office. Those counties are scattered around the state but generally are rural and among the least populous. More than a third are in eastern Kentucky, and many of those are financially strapped, periodically grappling with the possibility of cutbacks in basic services while paying thousands of dollars to jailers who, in the eyes of many, don’t earn their keep. All told, the state’s 41 no-jail jailers are paid nearly $1.4 million annually for their county positions. And that figure doesn't include salaries of the nearly 100 full- and part-time deputies they employ. Some of these deputies are wives, sons or daughters of the jailers. The deputies’ pay pushes the total yearly outlay for jail staff close to $2 million. Several of the no-jail jailers also work other jobs, at least a few of which are full time. That substantially increases their income but also raises more questions about whether the voters who elected them are getting their money’s worth. Perry County shuttered its jail about a decade ago, leading to a partnership with adjoining Knott County to form the Kentucky River Regional Jail near Hazard. There are three other regional jails, located in Lee, Bourbon and Johnson counties. Aside from participating with inmates in Sunday worship services at the regional jail, Hughes is by all accounts an infrequent presence. Other local officials and jail employees said they rarely see her there -- or anywhere else related to the jailer’s job. And three other no-jail jailers told KyCIR that Hughes has confided to them that she had little to do. In light of that, the three marveled at what she is paid. One of them, Owsley County Jailer Robert Cope, receives $23,000 annually -- a third of what Hughes gets. And unlike her, Cope said he really does put in some time on the job, transporting prisoners and accompanying them to court. “I’m pretty much here eight hours a day. And I’d work 24 hours a day for her salary,” said Cope, adding that his lack of county-provided health insurance coupled with his low income make him eligible for government medical assistance. Hughes, by contrast, was unwilling to discuss her pay, or anything else related to her jailer’s job. After answering just a basic few questions, she made a telephone call to someone she refused to identify, then ordered the reporters out of her home. She agreed to talk later, but then refused several requests to do so. The only qualifications for being a Kentucky jailer are that candidates must be at least 24 years old, a resident of the state for at least two years and have lived in the county for at least 12 months. No experience, education or training are required to seek the office. Jailers who don’t have a jail to operate are paid salaries set by their fiscal courts within a state-approved range, between $20,000 and $70,398. And their responsibilities are just as disparate, varying from allegedly substantial to virtually nonexistent. By law, jailers who do not have a jail to run or prisoners to transport are supposed to serve as court bailiffs. But as evidenced by what officials said is Hughes’ infrequent presence in court, that does not always happen. In fact, it’s unclear what many of the no-jail jailers really do to justify their pay. Nor does there appear to be any ongoing oversight of their activities beyond that which the local fiscal court may, or may not, provide. And in some instances -- Hughes again being a prime example -- there sometimes appears to be little or no correlation between no-jail jailers’ salaries and the time they devote to the job. A review by KyCIR found that about a third of the 41 no-jail jailers are paid $40,000 or more per year, even though many -- by their own admission -- have little to do on a daily basis. 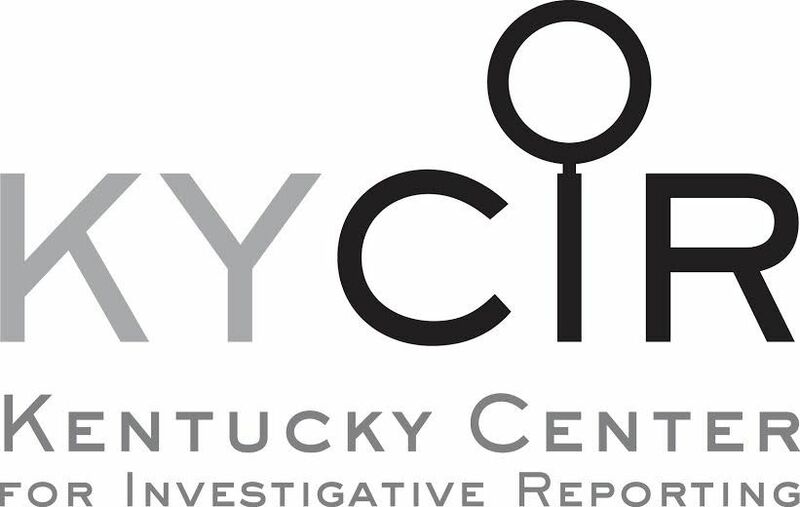 As part of its efforts to determine how the no-jail jailers operate, KyCIR sought to interview all of them, as well as other county officials, and authorities on corrections policy. Of the 41, only Hughes and Robertson County Jailer Eddie Jacobs were unwilling to cooperate. Most of the no-jail jailers asserted that the job is “full-time,” and that they are regularly busy transporting prisoners, staying with them while they appear in court and arranging or supervising work details. When pressed for particulars of their daily schedules, though, numerous no-jail jailers conceded that they often are simply waiting at home or in an office for the telephone to ring. Yet, Guill said, other days are “nonstop back-and-forth,” transporting inmates to and from the jail in McCracken County, about 18 miles away, and accompanying them to court in Smithland, the Livingston County seat. 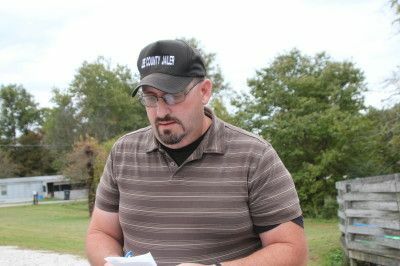 Bourbon County Jailer John Ransdell’s $20,000 salary puts him at the bottom of the no-jail jailers’ pay scale. Because the county houses a regional jail, Ransdell isn’t even regularly required to do potentially time-consuming prisoner transport. “I get paid almost nothing, and I do close to nothing,” Ransdell said. What he does do, he said, is take inmates from the Bourbon County regional jail to various medical appointments. This uneven system of no-jail jailers’ responsibilities and incomes has led some officials to suggest merging the jailer’s office with that of the sheriff in at least some of the 41 counties, which the state constitution allows. That idea has generated little interest and even less traction in the legislature, which would have to approve any merger. Local political opposition and a lack of public awareness and concern appear to be the main impediments. “I don’t see how you can justify keeping the jailer if you don’t have a jail,” said Robert Lawson, a law professor at the University of Kentucky and one of the state’s leading authorities on corrections policy. “I’d have to say that makes no common sense. Joe Meyer, who served in state government for 30 years, both as a legislator and in the executive branch, said there is “no reason” to have jailers in counties that have closed their jails. But jailers “often have undue political influence within their county government structure,” Meyer said, and statewide associations of county officials, including jailers, often band together to thwart proposals that are viewed as threats to any of them. “The political will to fight that fight just doesn’t exist,” he said. And indeed, interviews with officials of state associations for sheriffs, jailers and others disclosed absolutely no enthusiasm for doing away with any jailer’s job. 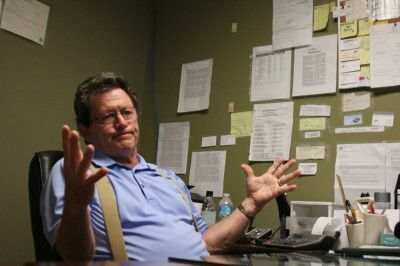 If a jailer doesn’t have enough to do, the county’s fiscal court can assign other duties, said Mike Simpson, the Oldham County jailer and president of the Kentucky Jailers Association. Simpson said the statewide group is reluctant to support eliminating the constitutional office. Plus, sheriffs don’t seem interested in taking on the jailers’ duties, Simpson added. State Rep. John Tilley of Hopkinsville, chair of the House Judiciary Committee, said he was unaware of any concerns related to jailers without jails, and that he had not previously known that legislators had the authority to merge the offices of jailer and sheriff. Their government positions afford at least nine no-jail jailers enough spare hours to work other jobs, some of them full time. Take Boone Mahon. Paid $40,325 as Martin County’s jailer, Mahon wakes before sunrise each weekday and drives his pickup truck to work -- just not at his government job. Instead, he pulls in behind Sheldon Clark High School in Inez, where he labors from 6 a.m. until 2 p.m. as the head custodian. There, he earns an additional $21,708 annually. As jailer, Mahon also has five deputies, including three who work full time. Those five cost the county an additional $101,000 each year. In Edmonson County, Jailer Hank Vincent works full-time as a paramedic for the ambulance service. He says he works six days a week, including two 24-hour on-call shifts as jailer. Green County Jailer James “Buck” Henderson drives a school bus five hours each weekday. He also farms. At night, he dons his jailer’s cap and awaits the phone call for a transport. He and his three deputies also work as bailiffs when court is in session once or twice a week. The jailer’s job pays him $23,000 annually. He earns $12,109 more a year for bus driving. In Johnson County, Jailer Doug Saylor periodically operates a body shop and towing service. 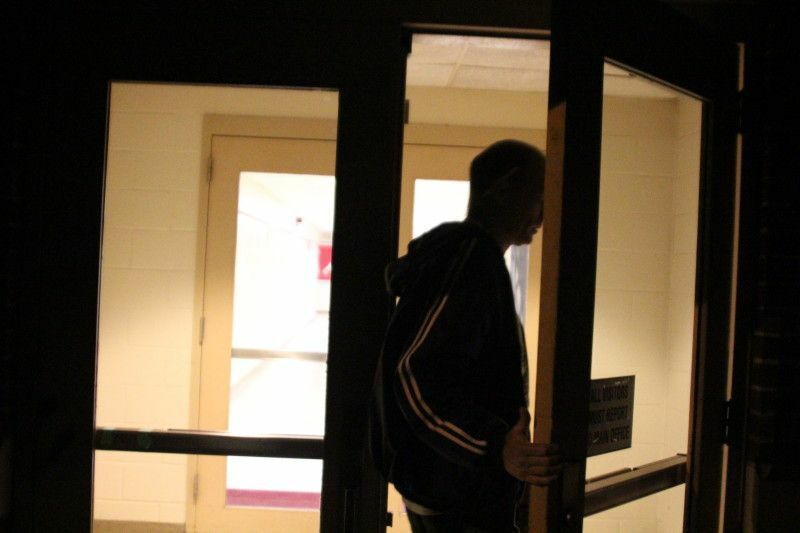 Spencer County Jailer Darrell Herndon performs maintenance on government buildings. Garrard County Jailer Kevin Middleton farms 350 acres. “If they arrest somebody, I clean up real quick and take ‘em to jail,” Robinson said. Family ties also figure prominently in some no-jail jailers’ operations -- and budgets. Harrison County Jailer Larry Turner’s 11 part-time deputies include his wife and daughter. In addition to Turner’s $54,483 annual salary, those 11 deputies are paid approximately $85,800 per year. That includes $3,663 earned last year by his wife, and $12,095 paid to his daughter. Morgan County Jailer James Easterling, paid $30,000 a year, has four full-time deputies, including his son Carter. The deputies’ salaries total about $80,000 a year more. Easterling said he is “on call 24-7,” but couldn’t say how much time he spends working, as opposed to waiting for a call. Wolfe County Jailer Marvin Carson has one part-time deputy: his son, Maxwell. Carlisle County Jailer Ronny Owens, and Lyon County Jailer Hank O’Bryan, both employ their wives as their lone deputies. O’Bryan’s said he made 15 trips in a recent week between Eddyville, the Lyon County seat, and the Caldwell County jail. It’s a 12-mile, 17-minute trip each way. His annual salary is $37,921. His wife Donna, who accompanies him on some trips, including when female inmates are being transported, receives an additional $30,387. 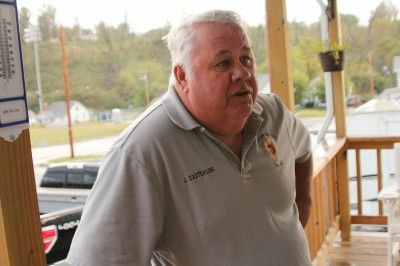 James Turner, who makes $60,400 in Breathitt County, has two full-time deputies and also four part-timers, one of whom is his son, Steve. Ethics ordinances governing these six counties do not bar elected officials from hiring relatives. Some other cities and counties prohibit nepotism. Reporters found Robertson County Jailer Eddie Jacobs sitting behind a desk at the courthouse in Mount Olivet. He said he had been “advised not to” talk, but refused to say who gave him that advice. Although Jacobs didn’t want to discuss the demands of his job, which pays him $22,271 per year, Sheriff Mark Sutton wasn’t reluctant to do so. Sutton said Jacobs does little prisoner transport because the county -- the state’s smallest, by area and population -- typically has only a few inmates in custody. And, Sutton said, Jacobs doesn’t provide much courtroom security either. Court is in session an average of only once or twice a week. For those reasons, Sutton said, it “makes no sense” for Jacobs to have two part-time deputies while the sheriff’s office has none. Judge-Executive Billy Allison, who described Jacobs’ job as having a “low salary and low requirements,” said he thinks it's illogical for the county to have a jailer. If consolidation were to happen, it wouldn’t matter to Jacobs. He ran for sheriff last May, finishing a distant third in the Democratic primary. That job pays nearly three times the jailer’s salary. Mark Lewis is paid $29,000 a year as Elliott County’s jailer. His primary job is transporting inmates between Sandy Hook, the county seat, and the regional jail in Paintsville, 37 miles away. A few times each month, he also has court-related responsibilities. “Usually I come home, work around here until they want something and holler at me,” Lewis said in an interview one recent evening. The previous weekend? Nothing then, either, he said. Lee County Jailer Corbett Dunaway isn’t overly burdened either. His only regular weekday responsibility is carrying a bag of bond money and paperwork from the regional jail, just outside Beattyville, to the courthouse downtown -- a two-mile trip. Three Forks Regional Jail Administrator Harvey Pelfrey said Dunaway’s daily stop at the jail typically is brief. When court is in session, about twice a week, Dunaway also is responsible for transporting inmates from the jail to the courthouse and back. And he has help for that part of his job -- two part-time deputies paid a total of about $21,000 more per year. Dunaway claimed in the telephone interview that his job is “absolutely full-time,” and that it also occasionally includes taking inmates to the hospital in Jackson, 41 miles away, or in Lexington, an 80-minute, one-way trip. When reporters subsequently showed up at Dunaway’s home around noon on a weekday, he was not eager to discuss what he was doing then -- or to have company. Instead, Dunaway began photographing the reporters’ car and ordered them off his property. For good measure, he called the Beattyville Police Department. The officer who was dispatched politely warned the reporters not to return. This month, Dunaway receives a $2,500 -- 7 percent -- pay boost. Asked why, County Judge-Executive Steve Mays said: “I think any employee after a certain period of time deserves a raise. I think the salary we pay our jailer is very fair.” Mays said he thinks Dunaway stays “pretty busy” transporting prisoners. Fiscal court oversight of at least some of the 41 no-jail jailers appears to have been spotty at best. 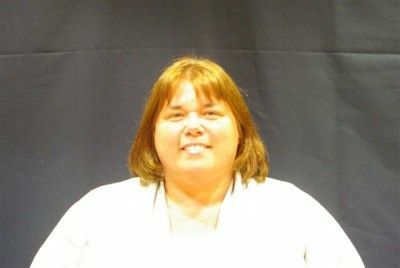 For evidence of that, look no farther than Jeanette Hughes, the Perry County jailer -- if she can be found. Asked in a recent interview when he had last seen Hughes, Tim Kilburn, administrator of the 135-bed Kentucky River Regional Jail, said it had been a week earlier. Before that? Kilburn, who earns about $12,000 less than Hughes is paid for not working, said he couldn’t recall. Current Perry County Judge-Executive Denny Ray Noble had a much more positive -- wholly unconfirmed -- view of Hughes’ job. Noble acknowledged that he had not sought to verify Hughes’ regular presence at the jail. “I don’t have time to go out there and check,” he said. Noble also asserted that Hughes had saved the county $112,000 during the past year by ferreting out “mistakes” and “billing errors” in inmates’ medical invoices sent to the jail from the Appalachian Regional Healthcare hospital in Hazard. “She’s goin’ over there and negotiating, to make sure it’s right,” Noble said. Kilburn, however, said Hughes had done no such thing. While substantial savings do occur, he said, that is due to a longstanding agreement between the hospital and Perry County which results in the “re-pricing” of inmates’ medical expenses from the hospital’s regular charge to a much lower Medicaid rate. Hughes’ only role in this process, according to Kilburn, has been to periodically carry paperwork from the jail to the hospital, which in turn sent it to the Nashville, Tenn.-based company that does the actual re-pricing. Questioned about the basis for his assertion that Hughes saved Perry County $112,000 -- which Noble cited two years ago as the basis for giving her a 1.7 percent raise -- the judge-executive again acknowledged relying on what Hughes had told him. 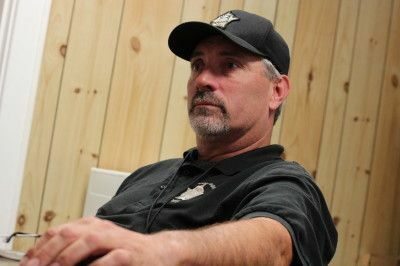 In Martin County, where Mahon is the full-time high-school custodian as well as the jailer, fiscal court scrutiny of his office has been equally lax. Mahon insists that he doesn’t let one job interfere with the other, and Martin County Judge-Executive Kelly Callaham doesn’t disagree. 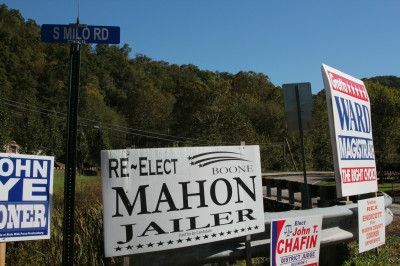 Callaham, who has been judge-executive since 1998, also acknowledged that the fiscal court over which he has long presided has done nothing to curb jailer’s office costs, or to put Mahon and his deputies to better use. The current system has “just kind of filtered down through the years,” Callaham said. “It’s stayed this way for 20 years…ever since the jail closed.” Until now, he said, “we had money to take care of it,” and “nobody cared” until money got tight. Now, Callaham said, fiscal court will take a close look at the jailer’s office, to see if its employees could be put to better use. In neighboring Johnson County, Jailer Doug Saylor answered the phone on a Friday afternoon at his body shop, which he claimed is “basically closed down.” His towing service, he said, is mostly an evening and weekend pursuit. On this particular day, he said he was tending to paperwork. Saylor is paid $35,000 annually as jailer, a job he estimated takes 30 to 35 hours per week, mostly spent assisting in court. Because the regional jail also is located in Johnson County, Saylor has no inmate transport responsibilities. By law, Kentucky sheriffs are responsible for providing bailiffs, or court-security officers. Some no-jail jailers also help with that job, and Saylor asserted that he is in court “every day, 99 percent of the time” when it is in session, except when he is on vacation. However, Johnson County sheriff’s department officials offered a very different picture of the frequency and value of Saylor’s courtroom presence. Johnson County Judge-Executive Tucker Daniel agreed with Price that merging the two offices is an idea worth considering. “Nothing ventured, nothing gained,” Daniel said. 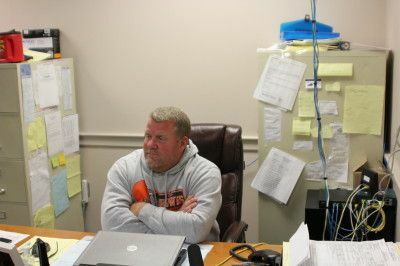 In Perry County, Scott Alexander, Noble’s successor as judge-executive, said county finances are “hurting” and that “some real tough decisions” are on tap, including possible cuts related to the new jailer, Dexter Howard. Better late than never, said Eddie Campbell, a Hazard area businessman and former school teacher who periodically has engaged in a lonely public crusade against Hughes’ big salary and minimal performance. Campbell thinks doing away with the jailer’s office is an idea that has merit, and said he plans to broach the subject with local legislators. But he has no illusions about merger actually occurring. Reporter R.G. Dunlop can be reached at [email protected] or (502) 814.6533. Jake Ryan can be reached at [email protected] or (502) 814.6559. Cathy Sutton contributed research.